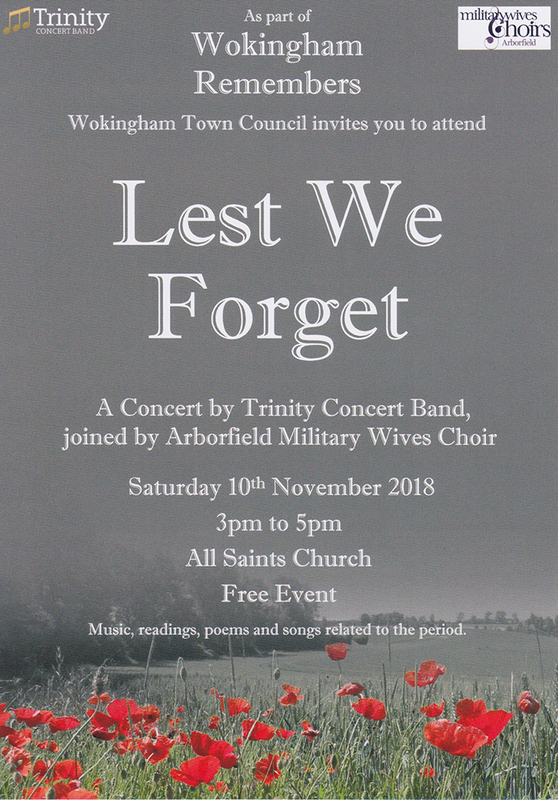 Providing Wokingham with a fitting finale to 3 weeks of events reflecting on the end of the First World War 100 years ago, Trinity Concert Band will be joined by the Arborfield Military Wives Choir in a concert at All Saints Church in Wokingham. The programme will contain music, readings, poems and songs related to the period. As well as giving an opportunity to reflect, the music will offer hope and a positive vision of the future for us all. This is a free concert with a retiring collection for the Poppy Appeal.